It is not easy to change the file associations under Windows 10, but still possible! In Windows 7 and the old 8.1 it was relatively easy, now it has become a bit more complicated, if you do not have to assign individual files to the program, and want to assign several! 2. enter the text "default app" click on "select standard app for each file type"
See also ► Q-Dir internal file association rules! 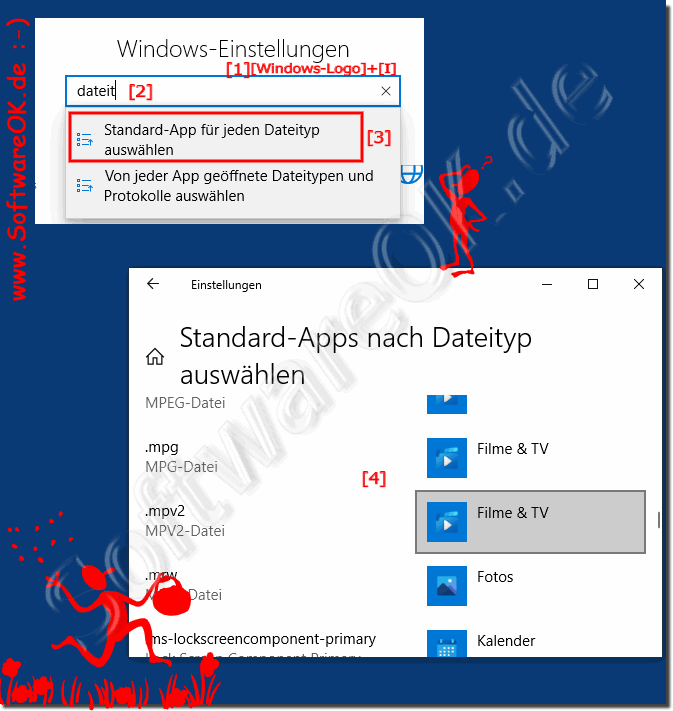 (Image-1) File associations in Windows 10, default apps by file type! 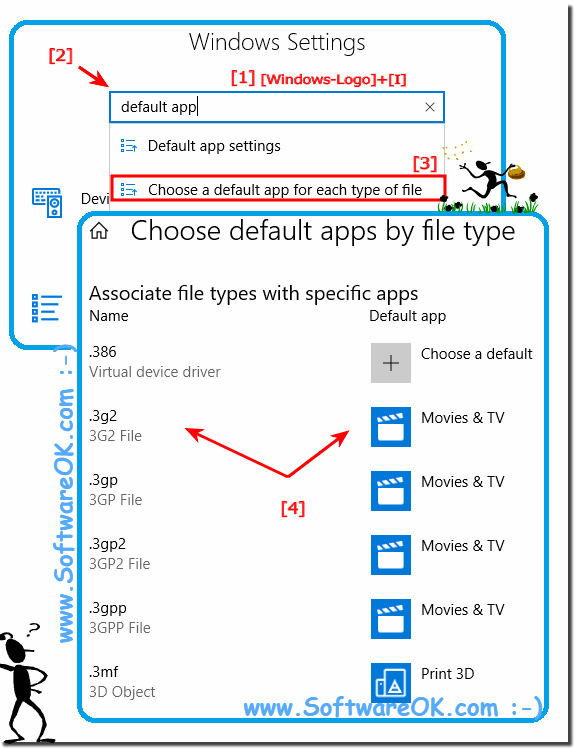 (Picture-1) Set File Associations Windows 10! However, you can easily use this example as a solution to change Setting for file associations in Windows 10 and on other versions of Microsoft's Windows operating systems, whether it's a Windows desktop, or to go on tablet-PC, Surface Pro / Go, or even a server operating system. It has been tested on all and successfully verified. What can I do if I continue to have issues with file associations and file extensions is a frequently asked question. Restart the Windows operating system, please perform a proper Windows restart. If the problem persists and you have major file allocation problems, ask your administrator, who usually sits in a server room at the server operating system. Or just contact me to solve the problem differently. It really makes sense and big benefits if the file associations and file extensions are assigned correctly, which can be of great benefit. Windows-10 - FAQ-242: Setting for file associations in Windows 10, but how?